The field of whole genome selection has quickly developed into the breeding methodology of the future. As efforts to map a wide variety of animal genomes have matured and full animal genomes are now available for many animal scientists and breeders are looking to apply these techniques to livestock production. Providing a comprehensive, forward-looking review of animal genomics, Genomic Selection in Animals provides coverage of genomic selection in a variety of economically important species including cattle, swine, and poultry. The historical foundations of genomic selection are followed by chapters that review and assess current techniques. The final chapter looks toward the future and what lies ahead for field as application of genomic selection becomes more widespread. 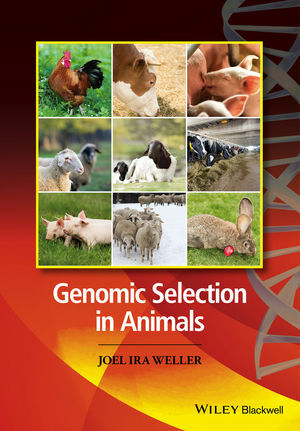 A concise, useful summary of the field by one of the world’s leading researchers, Genomic Selection in Animals fills an important gap in the literature of animal breeding and genomics.